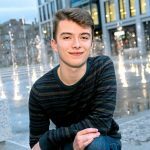 Coming to Aberdeen for Grampian Pride? Stay at one of these hotels for a special rate! Siberia, 9 Belmont Street, Aberdeen AB10 1JR. Doubletree By Hilton, Beach Boulevard, Aberdeen, AB24 5EF. Book by Email: ABZDT_DS@hilton.com (tell them you’re attending Grampian Pride). Aberdeen Altens Hotel, Souterhead Road, Aberdeen AB12 3LF. Special rate: Bed & Breakfast £59 per room (double occupancy) + complimentary upgrade to a King room on check-in (subject to availability). Book online, using promo code PRIDE. Copthorne Hotel, 122 Huntly Street, Aberdeen AB10 1SU. Special rate: 15% discount on Flexible Rate. Malmaison, 49-53 Queen’s Road, Aberdeen AB15 4YP. Special rate: 10% off best Flexible Rate, from £93 Bed & Breakfast. 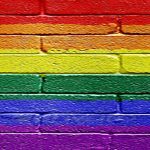 Plus 10% off bar rates, using code PRIDE. Book online, using this link. Carmelite Hotel, Stirling Street, Merchant Quarter, Aberdeen, AB11 6JU. Special rate: £69 per night for a Dapper Double Room for including breakfast & bottle of fizz in the room on arrival. Hallmark Hotel Aberdeen Airport, Farburn Terrace, Dyce AB21 7DW. Special rate: Bed & Breakfast £45 per room. Book by phone: 01224 723101 (tell them you’re attending Grampian Pride). Aberdeen Marriott, Overton Circle, Dyce, Aberdeen AB21 7AZ. Special rate: £49 per night (double occupancy). Moxy Aberdeen, Argyll Way, Dyce, Aberdeen AB21 0BY. Special rate: 15% discount on rooms, all food and beverage for anyone attending Pride.